We love entertaining friends and family in our home and often times the best gatherings happen at the last minute. 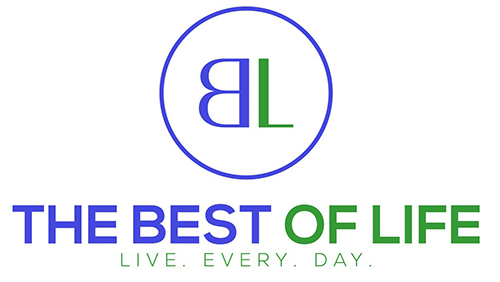 Having easy yet amazing recipes quickly on hand is key for me so we can take advantage of these opportunities whenever they arise. 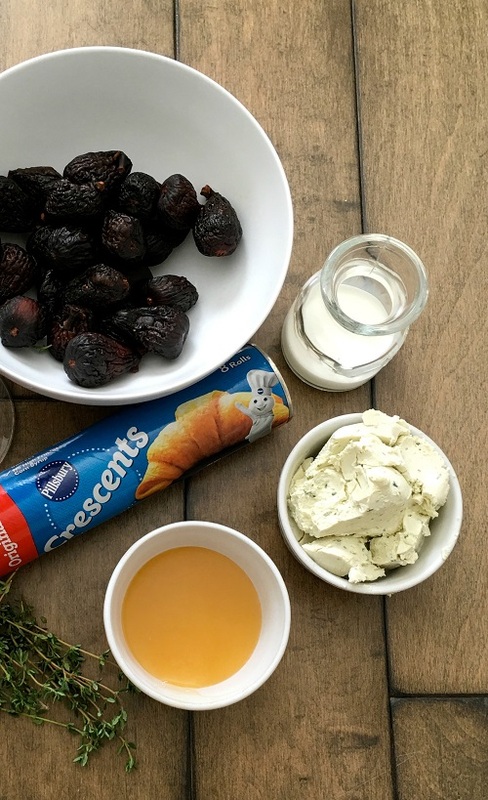 This recipe combines some flavorful ingredients and uses Pillsbury Crescent Rolls as the pastry cup; not only do they taste amazing but they present beautifully for holidays, happy hour, or for whatever entertaining arises in our home. 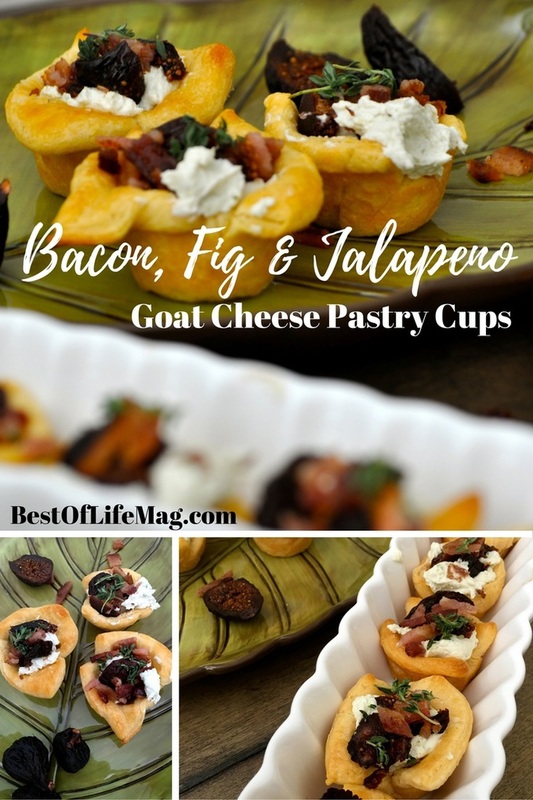 Impress guests with these delectable bacon, fig, and jalapeno goat cheese pastry cups during a party or an evening together! Cooking for others and seeing the joy on their faces when they have a great meal or drink is something I have always loved and Pillsbury Crescent Rolls have long been part of that process. I thought about that as we were shopping at Walmart; even when I was a child I can remember my mom serving them for holiday meals or a nice family meal on Sunday nights together. This recipe takes a classic and adds a modern twist to it resulting in a very special recipe. Pillsbury Original Crescent Rolls are so versatile. 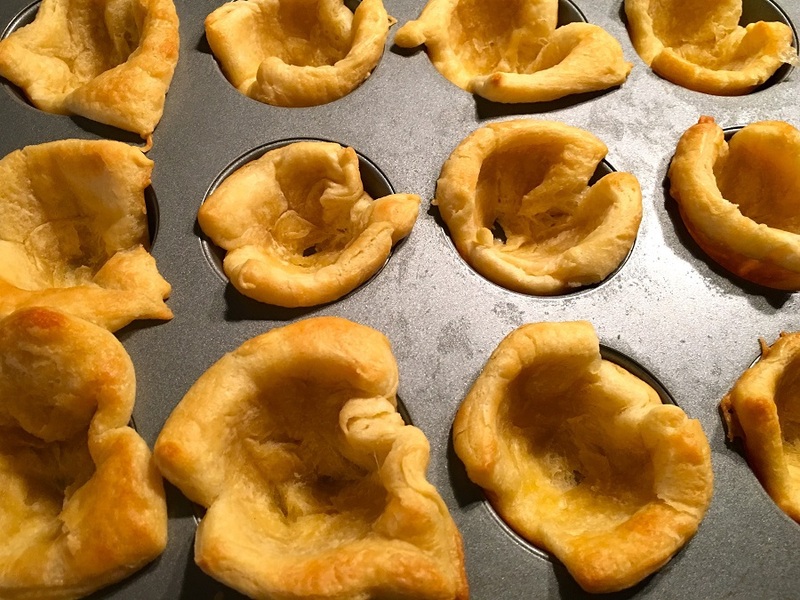 You can make the crescent rolls how they ‘re meant to be made or you can alter them. This recipe is a delicious alteration. Thick cut bacon, red wine, honey! 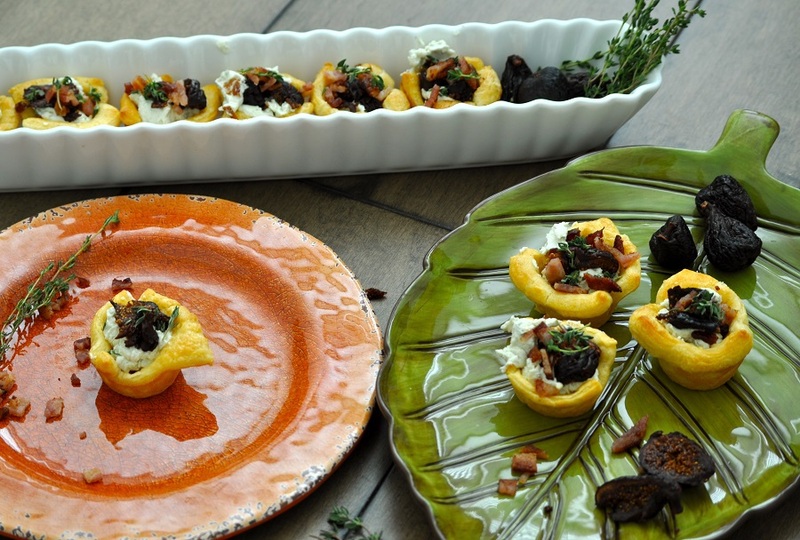 All of these ingredients come together to make such an amazing appetizer. In fact, these are popular during winter but they’re so good, you will want to eat them all year long. There is a bit of a bite to these due to the jalapenos but the cheese, and sweetness meets that spice and makes it easy to handle. It’s a sweet, spicy, savory treat that will confuse your tastebuds in an absolutely perfect way. Preheat your oven to 375 degrees F (or 350 degrees for dark or nonstick pans). Unroll Pillsbury Original Crescent Roll dough and cut into 16 squares. Spray mini cupcake pan with non-stick cooking spray and lay square dough into mini muffin pan so the edges come up on the sides forming a cup. Bake for 8 to 9 minutes or until golden brown. Once you remove the pan from the oven take a small spoon and reshape the dough so you can fill with your ingredients. Remove cups from pan and cool. Preheat your oven to 400 degrees F. Arrange 4 thick-cut pieces of bacon on a baking pan lined with foil and then bake until crisp, about 10-12 minutes. Let bacon cool and then cut into small pieces. In a medium saucepan stir wine and honey together. Then add figs and bring to a boil over medium heat. 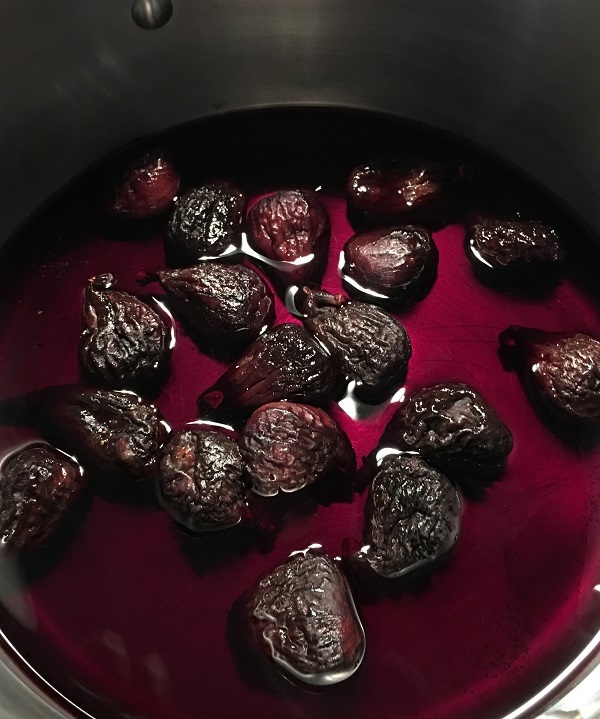 Reduce heat to simmer, then let the figs cook for about 15 minutes until tender. Remove figs from saucepan cut into small slices. In a small bowl beat together the goat cheese and half and half until smooth. 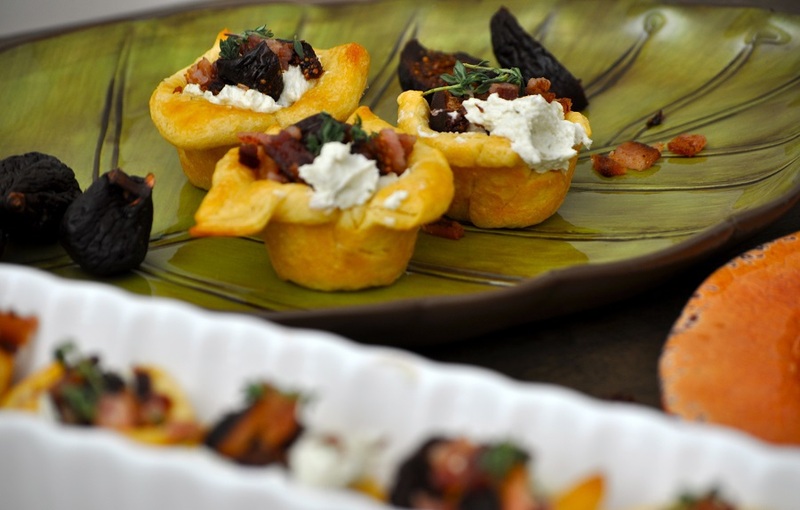 Now you’re ready to assemble your bacon, fig and jalapeno goat cheese cups. 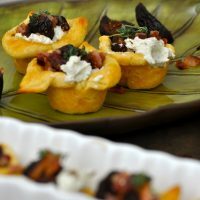 With a small spoon put a dollop of the goat cheese mixture in the Pillsbury cup. Then add a few dried figs and sprinkle a few pieces of bacon on top. Garnish with a little thyme on top. 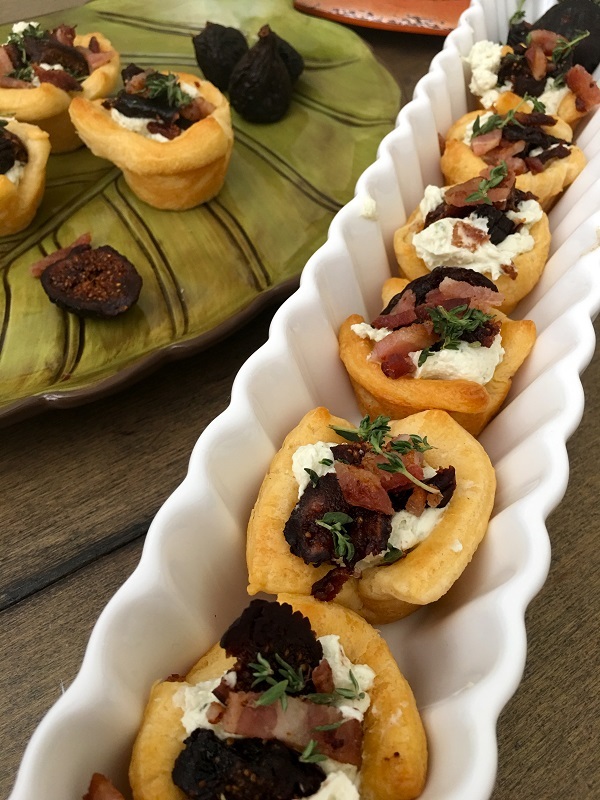 Impress guests with these delectable bacon, fig, and jalapeno goat cheese pastry cups during a party or an evening together in your home! Arrange 4 thick-cut pieces of bacon on a baking pan lined with foil and then bake until crisp, about 10-12 minutes. Let bacon cool and then cut into small pieces. In a medium saucepan stir wine and honey together. Then add figs and bring to a boil over medium heat. Reduce heat to simmer, then let the figs cook for about 15 minutes until tender. Remove figs from saucepan cut into small slices. With a small spoon put a dollop of the goat cheese mixture in the Pillsbury cup. Then add a few dried figs and sprinkle a few pieces of bacon on top. Garnish with a little thyme on top.